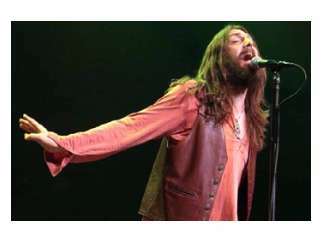 This Los Angeles blues rock band formed in 2011 by Black Crowes singer Chris Robinson while The Black Crowes were on hiatus. The band is on the road in 2017 supporting their fourth studio album, "Anyway You Love, We Know How You Feel," and its follow up companion EP, "If You Lived Here, You Would Be Home By Now," both out via Robinson's Silver Arrow Records. Tracks have already been laid for another new studio album and the "Betty's Blends, Vol. 3" live release later this year. Writing, recording and creating at a compelling clip, while performing an ever growing number of sold out shows across the U.S., Robinson is as energized as he's ever been in what's already been a long and historic career as one of rock music's most prolific and successful songwriters and frontmen. Joined by guitarist Neal Casal, keyboardist Adam MacDougall, bassist Jeff Hill and drummer Tony Leone, The CRB (as they are affectionally known to fans), are on the verge of their most inspired and prolific year yet.